Since the beginning of my career – almost the very first psychotherapy session I did with someone – I’ve been talking about the two major dimensions of communication: form and content. Not only has this topic occupied my clinical work, it has also infiltrated many, many hours of personal time. The dimensions of form and content are not a simple dichotomy, because the form of communication itself has many different parts, each worthy of closer examination. It is the form of communication, more than content, that has the greatest lasting effect on another person. Usually when we are talking about this sort of effect, concern centers on the emotional tone that someone brings to saying something. For example, intense anger and agitation, expressed in vocal tone and an agitated facial expression, lingers much longer in another person’s memory then do the actual words that were spoken in a heated exchange. Yet the form of communication encompasses other elements as well; in this newsletter I want to examine the issue of detail, and its effect on human relationships. I’m especially focused on the relationships teachers have with students, and parents have with children. In contrast to the example provided above, where strong emotions might undermine a person’s ability to convey important content, the conveyance of greater detail makes it easier to absorb content, giving it better traction and a longer life in the mind of another person. When we set out to teach or explain something that is complex or has multiple steps, we should be mentally prepared to break that task down into highly specific steps, with lots of attention to small details. One of the most common mistakes I observe in family communication and in school consultations is an insufficient amount of detail when it comes to describing a particular goal, and steps by which that goal will be achieved. Detailed communication is invaluable in fostering performance and follow-through. It is a type of communication that beautifully complements other strategies for enhancing executive functions. For most people, communicating in hyper-detail is not a natural way of relating. And I don’t want to suggest that it should become a natural way of relating in most areas of life. For example, I don’t suggest that you tell your spouse in great detail exactly how you want them to dry the dishes you’ve just washed, nor do I think it’s helpful that you explain to a boss exactly how you like to be praised for your excellent work. I guess it’s possible that those types of “honest” conversations might occasionally move people closer, but I suspect that just as often they will lead to irritation and discomfort. The emotional effects are altogether different, however, when we’re talking about teaching and explaining things to young people. READER ALERT: This is not a license to nag or preach. Those forms of communication have more to do with the communicator than the recipient. We should strive to provide enough detailed communication to set a positive tone for an exchange, and to create a safe, protective space in which another person can effectively learn. This is akin to the “holding environment” concept described by the great pediatrician and child psychoanalyst, D. W. Winnicott. He was referring to someone who could be present with another person, yet allow that individual sufficient freedom to explore their own perceptions and ideas. Winnicott saw this psychological space as necessary for another person to feel a degree of separateness – which he theorized was essential to growing up, and becoming your own person. This cycle of connecting with another person’s orbit, guiding them forward, and then easing off the directions is highly familiar to me as a therapist. It has taught me that the simple act of teaching someone something can be highly relational, even “protective,” as Winnicott suggests. At its best, communication is a way of bonding, of building attachment and resilience. The fake out is that most people in western culture think of the attachment as coming from the words, i.e., “I like you,” “You’re good at this,” “Nice job.” Words can be great, but affection is also derived from the form of communication, i.e., the patient, detailed explanation of how to do something difficult. Do you see how this reduces a person’s anxiety and sense of aloneness? It’s just so much better to move through the world, guided by an able teacher or coach. Most people who are learning new and difficult content feel a degree of anxiety about their ability to do what they are being instructed to do. More than anything else, this is anxiety about being able to do a particular task well enough. It’s important to emphasize the notion of “task,” because detailed communication is most helpful for something procedural that has to be accomplished. Athletic coaches understand this concept quite well. Regardless of the sport being coached, you cannot effectively teach players to perform unless you can convert your wishes and expectations into clear, achievable steps. Because of the difficulty inherent in explaining complex procedures, we sometimes feel an emotional resistance to the burden of being sufficiently detailed. I know that I’ve felt that from time to time as both a therapist and a parent. There are times when it simply feels stressful to get my brain to work hard enough to break down a skill into micro-steps, so specific that accomplishment is almost guaranteed. Remarkably, when I do force myself to do this, not only is the other person the beneficiary of detailed guidance, but the effort causes me to feel more emotionally invested in connecting with the other person. I find the surrender to this level of detail to be a big part of the essence of a therapeutic encounter. And I suspect that teachers who employ similar communication strategies experience the same emotional effect. When you decide to describe something in greater detail than you have ever imagined, you experience a temporary flight from preconceived notions about how something is done, into a more real-time, clear vision of how a particular thing is going to be accomplished. I think most of us use this type of communication strategy more readily with younger children than we do with those in middle childhood or adolescence. But there is no evidence that older kids would not benefit. In fact, my research suggests just the opposite! 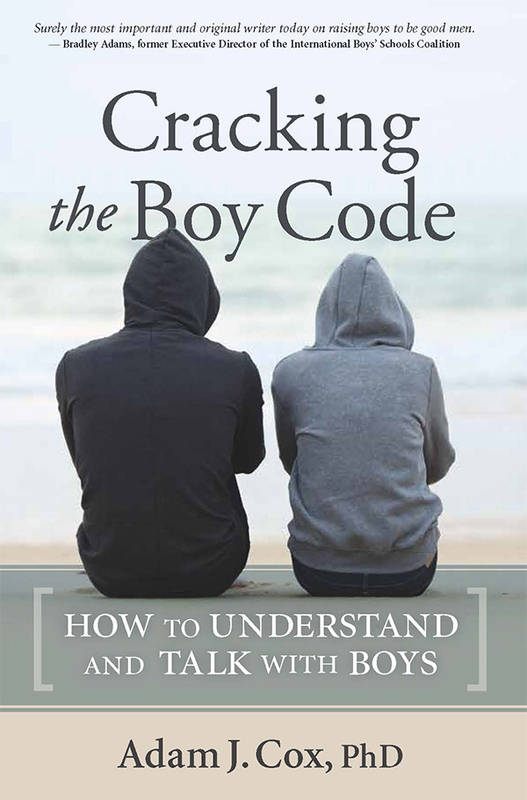 I first became aware of the perceived value of detailed communication during the research I did on behalf of the International Boys’ Schools Coalition, with students between the ages of nine and 18. The boys in my study were quite specific in stating that the kinds of teachers and coaches they like best are those who are highly specific in giving directions. (If you want some good examples of how instrumental and pragmatic males hope communication will be, check out a Cormac McCarthy novel. He writes with an uncanny capacity to transform the drama of any moment into the small sequential steps involved in turning a doorknob, saddling a horse, scooping the last bits of rice and beans from a plate, etc.) I learned that many boys feel as though they under-perform, in the sense of not meeting expectations, because they never understood exactly what was expected of them. To me, this is mostly an issue of miscommunication. I believe that when students feel this way, more often than not teachers feel as though the expectations and steps have already been sufficiently explained. So there is a conflict with respect to what is a reasonable expectation. Arguing about whether something was already explained seems to be regressive, and a threat to the morale of the class. Thus I believe that the deep structure of teaching and parenting has to do with transcending hierarchies and hard feelings – for the sake of clarity and cooperation. Cooperation, in particular, is at the heart of any social enterprise and where cooperation is missing we have a dysfunctional system. It doesn’t matter how intelligent the actors in this system might be. The absence of cooperation suggests a breakdown in empathy, which in turn signals a decline in motivation and receptivity. By extension, there is no fully engaged learning experience. Give it up. Make it incredibly explicit. Pause. Repeat. If we are teaching a six-year-old how to ride a bike, we will need to be more specific than saying hold the handlebars straight and pedal as fast as you can. Those are required elements, but additional detail about how to: use your feet to balance and stop, where to place your feet on the pedals, how much movement is required to turn the bicycle, how to gently apply the coaster brake, and how far you want a child to ride before applying the brake, will also be incredibly helpful. A similar level of detail can be applied to solving various math problems, doing school lab work, or guiding class-based project teams. The more specific we are in explaining how to do a task (including how to edit and improve written work), the more likely it is that students will apply themselves in an effortful manner, yielding great results. One of the challenges to accepting this approach is coming to grips with the fact that almost any task can be broken down into more specific steps than what we are accustomed to doing. Every step can be broken down into micro-steps, and sometimes those steps can be broken down further. By requiring ourselves to break down a task into such great detail we force ourselves to embrace the cognitive complexity of various types of doing. This is an important pathway to metacognition. All of that articulation of detail causes us to create mental representations of different stages of a task. Essentially, we have to think about what it looks like to do A, then B, then C, etc. All of this visualization gives us a much stronger foundation of instructional confidence. Of course, the same benefits apply to students. One of the reasons it is so beneficial to ask young people to explain what they are going to do, and how they are going to do it, is that in providing these explanations young people are essentially forming metacognitive maps for how to get from one stage of a task to the next. Sports psychology research suggests that moving mental images are more powerful templates for replicating actions than are still images. For example, if we want to coach someone to make a three-point shot in basketball, it’s most important to get them to mentally imagine a short video clip of the shot being made. The clearer and specific the imagined clip is, the better their chance of reflexively moving all the major muscle groups of their body in such a way as to make the shot. In my own clinical work, I try to do something similar by asking children to attend to different aspects of sensory experience as I am teaching them to do something. This might begin with a simple game of catch, where I’m talking about how to move your eyes, where to focus, how to position your hands, and how to adapt to the speed of the ball. Having established basic rapport, I find it easier to move to more procedural, attention-driven tasks that simulate the kinds of challenges young people might encounter at home or at school. I try to provide lots of specific guidance about how to focus, what questions to ask, and how to set the stage for successful resolution of a task. Does this sound too tedious? Are you having a hard time believing young people will be receptive? I appreciate your doubt, but those intentions carried forth with energy and a relentlessly friendly tone almost always win the day! Sometimes this way of relating feels so good and productive that both myself and the child want to apply it in every situation. So, in moving from one workspace in my office to another, I might talk about exactly where we will sit, or how we will employ different materials that are accessible to us. At the very same time I am giving this direction I provide some narration as to why I’m giving these directions, and what I hope the outcome will be. This moment of transparency in personal thinking promotes positive transference – it is Winnicott’s holding environment. The narration conveys a degree of vulnerability in the explainer about what he or she is hoping to accomplish, including any concerns about failure. The emotional connection implicit in this sort of detailed communication is formative to attaching to a child. I view everything about how communication is done as critical to attachment — and if you are a regular reader of this newsletter, you know I am increasingly emphatic that attachment is as important at school as it is at home. If you decide to work on this scale in your own parenting or professional work, I encourage you to start in one small corner of your life. Recently, while speaking to a school district in northern Idaho, I was addressing the executive function of organization. I talked about the emotional effects of organization and, how many years ago in working with severely depressed adolescents in a psychiatric hospital, I discovered that few attended to any type of self-care, or management of personal space. On the worst days, I would encounter kids sitting alone in dark rooms, crying, or simply withdrawn. At first, I was at a loss in knowing how to connect with such lost souls. It occurred to me that one key to feeling better was getting yourself to address at least one small aspect of self-care. I began asking these teenagers to simply make their bed, and I offered to help on the condition that the bed be made as beautifully as it could possibly be done. Lots of attention to every detail and fold would be applied. The idea was to accomplish one small task that could engender pride and momentum. In Idaho, the teacher who heard me tell this story related it to the many books she had read on getting oneself organized. She noted that virtually every book written on this topic begins with the advice, “start, by making your bed.” I can believe this, and along those lines, I suggest you begin applying detailed communication to smaller, specific tasks, where you feel most confident. Be patient. Go slow. Repeat as necessary. Make the relationship the top priority. Measure your words and tone. Give massive encouragement. Be animated. Smile. Use supportive touch as appropriate. Connect with your own vulnerability. That’s right, exactly like that. Job well done. Thank you. Let me give a shout out to faithful readers of Family Matters. I see that lots of folks in Australia and New Zealand are tracking these ideas. I especially want to thank those who have taken the time to share their thoughts with me. I write these newsletters with faith that they are of some use to others. Occasional comments help me to know that more confidently. Please visit my blog and video archive for updated ideas and strategies for connecting with kids. I’m thrilled to have this new website, and new tools for connecting with all of you. You’re awesome. Be well.